EDMOND – One of my Facebook friends posted this: “Is Blade Runner 2049 good? I really want to see it!” Since she’s one of my friends-only-on-Facebook friends, and since I don’t really know who she is at all, I decided to not reply to her post but rather answer her question here. I’m sure that since we are such close friends, she will definitely end up reading this. Let me start by saying that Blade Runner 2049 is not very good. 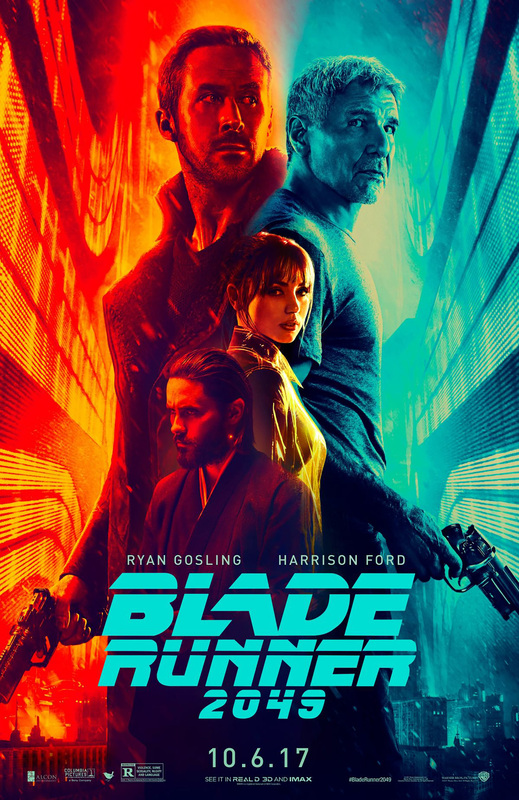 No but seriously, if you like the original Blade Runner (I do), then I think you will like the first 60% of the movie. The cinematography, music, acting, and just sheer ideas are really, really cool! And the vibe is very reminiscent of the original without trying too hard (I’m especially glad they didn’t throw in a ton of cheesy references). So, if I had left after about an hour and thirty minutes, I would’ve given it something like an 8.5/10 and been super bummed that I’d missed what seemed to be a very promising ending. But, I didn’t leave early, and I unfortunately had to sit through what turned out to be a bad ending as well as the great beginning. What made it so bad? Well, two of the more interesting characters and plot elements are discarded somewhat wantonly (which is really frustrating), and in their place we get an hour of Harrison Ford. Which is disastrous. To be clear: I’m a huge Harrison Ford fan. I love the first three and, to this date, *only* Indiana Jones movies, Witness, The Fugitive, Patriot Games, Clear and Present Danger, Regarding Henry, his bit role in Apocalypse Now, and of course the first three Star Wars movies (and no, I didn’t forget The Force Awakens; I didn’t really love it or his performance). Heck, I even like Air Force One!! So yeah, I really like Harrison Ford. Unfortunately, he forgot how to act somewhere around Y2K, so that’s a problem. Since he can’t act anymore, and since he’s a huge part of the last 40% of the film, the last 40% of the movie is kinda terrible. Which makes me very sad face. To summarize: this movie is very, very, very great, and then it all just kinda goes flaccid. Again, sad face. Btw – lest anyone think I’m placing all the blame on Harrison Ford, please don’t misunderstand me: I actually don’t really blame him at all. After all, I’m sure he was offered a nice paycheck for his appearance, something I don’t think many of us would’ve passed up. No, instead I blame the writers, producers, and director for even putting his Rick Deckard in the movie to begin with. For those who don’t know, at the end of Blade Runner, Deckard (Harrison Ford) and his galpal Rachel go off into the unknown, leaving it to us to imagine their happily-ever-after. Honestly? I like that. I like not knowing what happened. It leaves things open for the audience to fill in the gaps, and I think that is always the best path to take in filmmaking. That the powers-that-be decided to tell his later life story ruined that mystery and turned a possible tour-de-force into a tour-de-ferp. In closing, here’s my final assessment: it is an okay movie. The first 60% is amazing, and the last 40% is not amazing. Since more of the movie was amazing than not, I guess that means that it is better than a 5/10. I give it a 6/10. PS – I just thought of one more thing, and I don’t want to go work it into what I’ve already written because I just don’t want to. Here it is: this movie is a little worse than the original because of its expanded setting. Without giving anything major away, I’ll just say that the original and the first part of 2049 are set pretty much entirely in a futuristic Los Angeles; conversely, the setting is expanded in the bad section of 2049. Being set solely in LA lends the first film and the first part of this film a cozy/intimate feel that goes away once things expand to a different realm. And that is not awesome. PPS – The music is good. Grant Stevens lives in North America and enjoys writing, music. apologetics, and languages. Thanks Grant for an entertaining and insightful review. I’ll not waste any dinero on this flick.